Americans have observed July 4th as a day of celebration, expressing their patriotic pride with fireworks, parades, and picnics since the Declaration of Independence was adopted in 1776. Now, most cities hold their own Fourth festivities for visitors and residents alike, and Dublin is no different. There are several holiday events and specials being held during the week of July 4th in Dublin, Ohio, and the surrounding area. One of the most revered is the City of Dublin’s Independence Day Celebration. 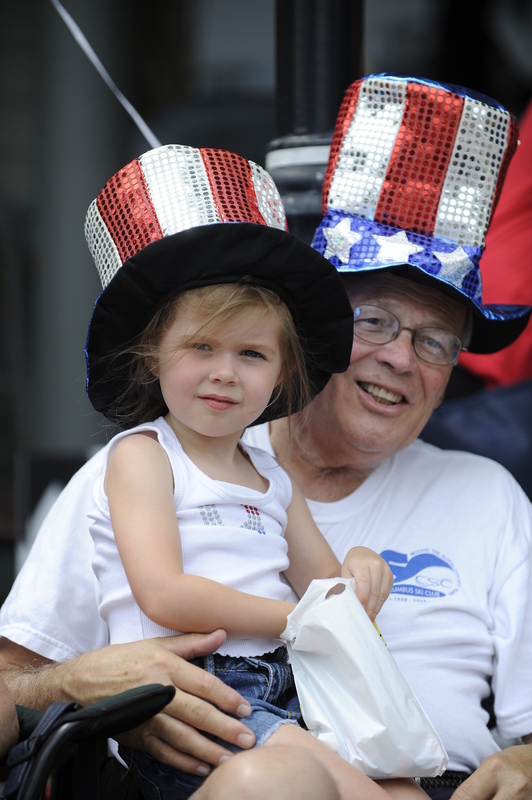 This all-day observance on July 4th features a number of activities for all ages. This year’s event kicks off with the Sherm Sheldon Fishing Derby at the Community Recreation Center Pond. Then, there is an Inflation Celebration and the beloved Independence Day Parade, with over 100 parade units. The evening&apos;s entertainment includes the Skyhoundz Hyperflight Canine Frisbee Competition and concerts by the Dublin Wind Symphony, Matt Corey Band, and special guest Joe Walsh at the Dublin Coffman High School Football Stadium (which opens at 4:30). A children’s area with face painting, temporary tattoos, and inflatables at the Stadium will be open from 4:30 – 9:30 p.m. Fireworks are scheduled for 9:50 p.m. The Ohio Historical Society is hosting their Glorious Fourth Independence Day Celebration at Ohio Village from 12 – 5 p.m. on July 4th. COSI’ annual MessFest will take place from 10 - 3 p.m. It will feature all of the favorite messy demos and experiments. Columbus Zoo and Aquarium will hold Military Family Days from July 2 – July 8. This includes free Zoo admission and discounted Zoombezi Bay admission to all active and retired military and their immediate families. There will be a Shoebox for Soldiers Collection on Sunday, July 1, from 9 a.m. – 7 p.m. Donations will be collected at the "Blue Star Mothers of America" tent at the front of the park. Each individual that donates will receive one admission ticket. Jeni’s Splendid Ice Creams is selling their Independence Day Collection (featuring White House Cherry, Lemon and Blueberries Frozen Yogurt, Roasted Strawberry Buttermilk, Plum Sake Sorbet, Wheatgrass, Pear, Vinho Verde Sorbet, Juniper and Lemoncurd) online. Phoenix Bats supports the “Stand Up and Salute American Heroes” program and has three different types of honor bats available for purchase. For other events and activities in Dublin, OH, visit the Dublin Convention and Visitors Bureau website: www.irishisanattitude.com .